Create Embellish Adore: Top o' the morning to ya! 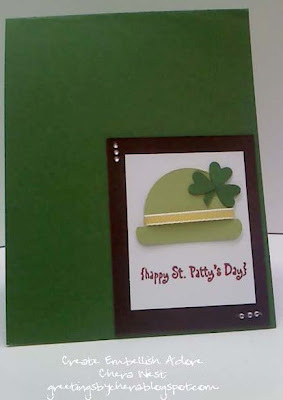 TOP o' morning to ya! 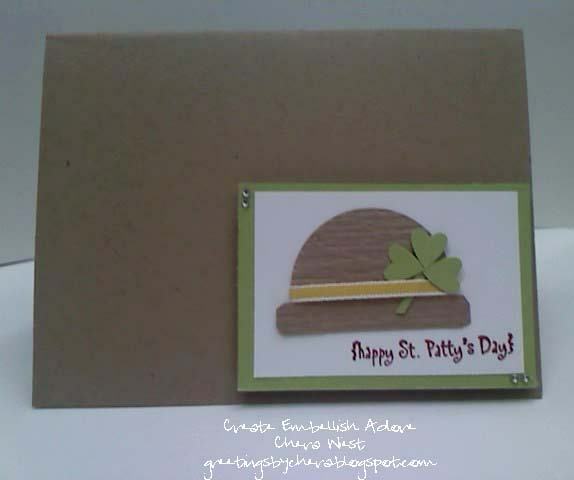 I used Garden Green with Celery (hat) and Daffofil ribbon for the hat made of punches! Fun and easy! I do believe the Krumb one is my favorite! I gather it was a few others since they were sitting at my desk and later in the day purchased from co workers for a few of their Irish friends! So much for making 12 cards and getting them out - I have now moved to close to 25! ... But I love it!